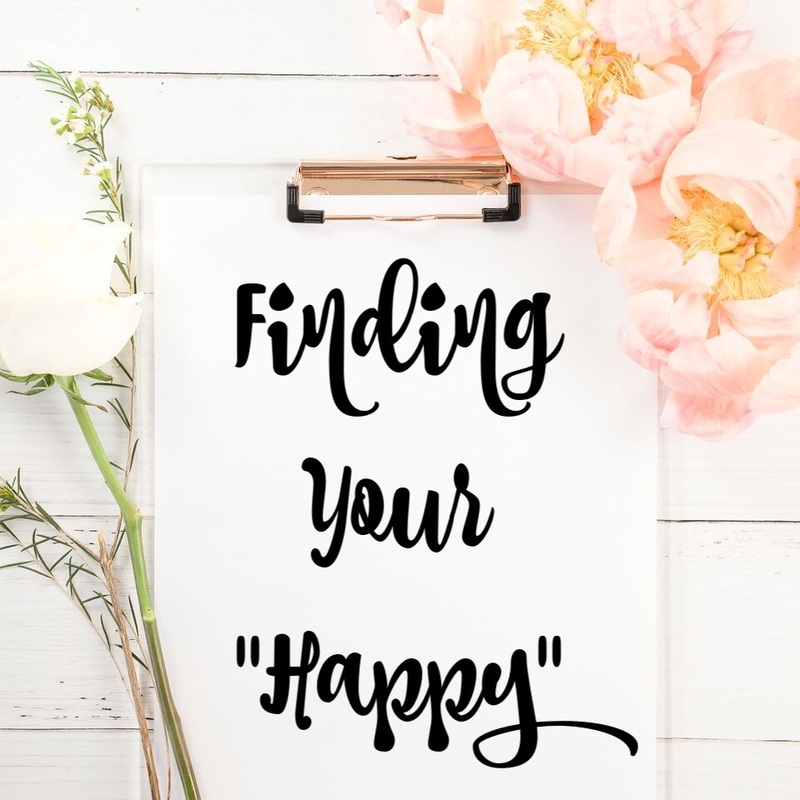 Penny's Passion: Finding Your "Happy"
Welcome to Thinking Out Loud Thursday! Today I'm thinking out loud about things that make me happy. Not huge, monumental things like taking a trip to Europe. I'm talking about the common, everyday things you can do to make each day a little happier. As a disclaimer - I'm not going to pretend that I'm always the queen of happy. I wish I were, but sometimes I just let things soak into my soul and I have to remind myself to turn away from those feeling. Many of those things that put me on the sad train are things that are out of my control. It's a hard lesson to learn that you can only control what you do and how you respond to any given circumstance. You have no control over others. 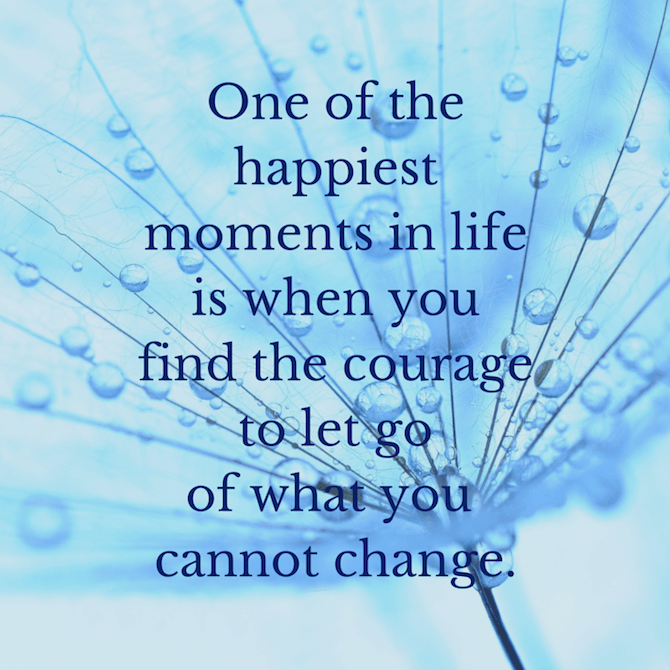 Let go of things you cannot change. Notice that these are things that are totally in my control. I can make my bed before I leave for work (but I absolutely love it when Eric does!). I can perform a random act of kindness. I can turn on Pandora and dance my heart out. None of these items require a single thing from someone else. You, and you alone, can do things that bring a feeling of happiness!! There's a whole other list of things that make me happy that involve factors out of my control -- but that's a post for another day. Today I'm focusing on things we can do for ourselves that make us happy. I just think that we need to identify them and conscientiously do them on a regular basis. 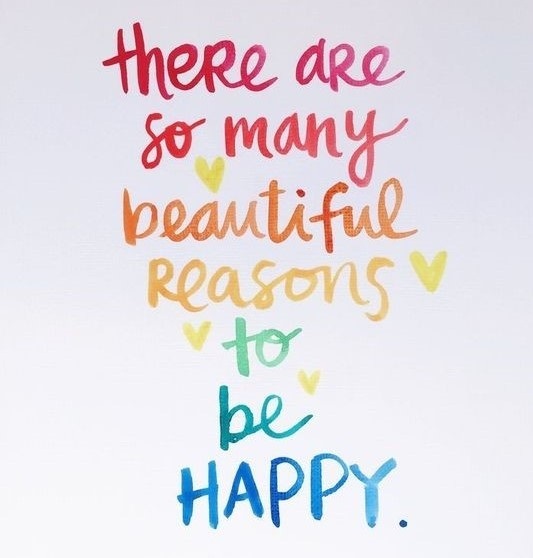 What's on your list of things that make you happy? Your list probably looks a little different than mine. And that's perfectly fine. What makes me happy may or not inspire you to feel the same way. Go ahead - make your list! Put the most craziest things you can think of on it. No judgement here! Now try to do at least one of those items every day. Hope you join me on the road to being just a little bit happier each and every day! What makes me happy is getting out in the world and seeing things. Thanks for hosting and I hope that you have a wonderful Thursday. Agreed! Getting out in the world always puts a smile on my face. I hear you sister! It's always so much nicer when Eric fills up my tank for me! I try to find joy in many of the little things-- seeing a bird at the feeder, reading a good book, crossing something off my to do list, etc.